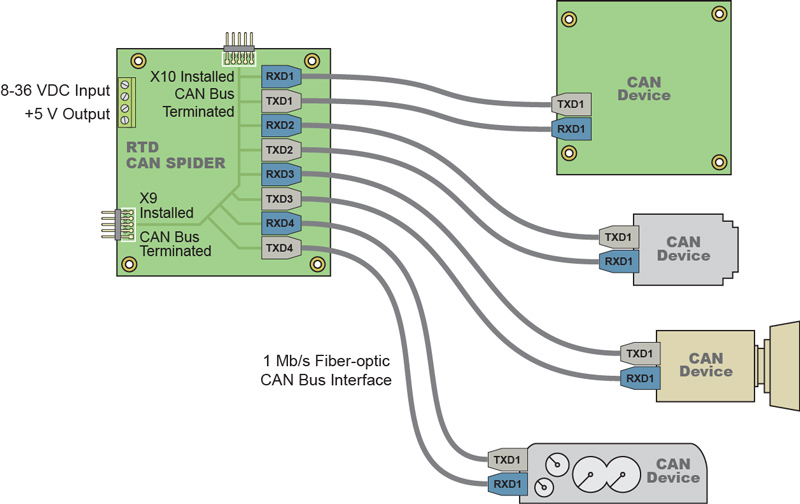 The RTD CAN Spider active CAN hub is designed for connection to four fiber-optic CAN bus boards or modules, thus forming a star type fiber-optic CAN system. 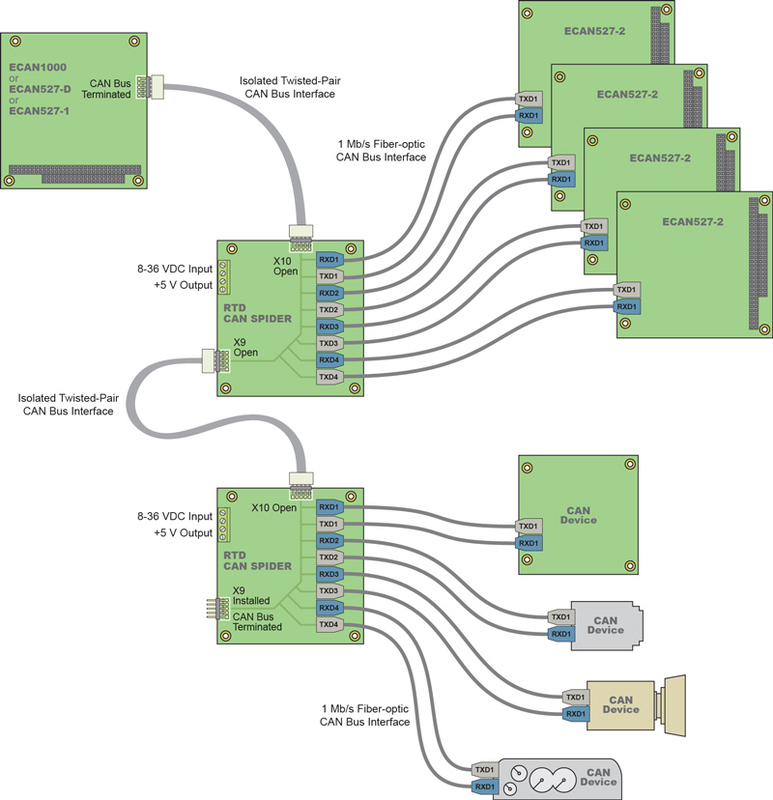 This network topology is expandable to multiple spider boards through the onboard galvanically isolated twisted pair CAN port. Multiple CAN spiders can also be stacked together, or distributed in a bus structure. 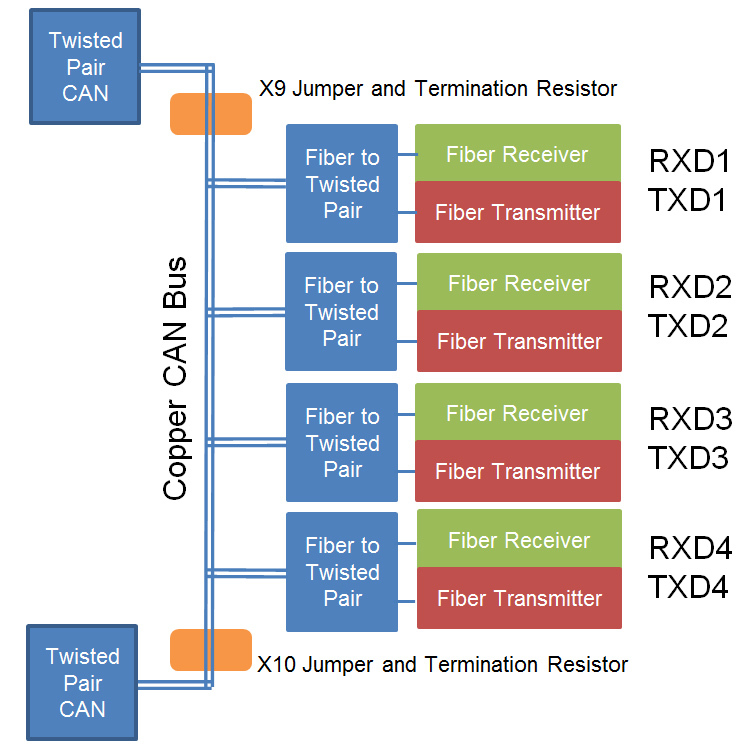 Sensors with a twisted pair CAN interface can be connected to the ISO11898 compliant galvanically isolated twisted pair CAN port of the RTD CAN Spider. 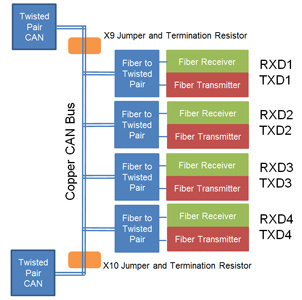 This scheme allows flexible combination of twisted pair and fiber-optic CAN node connections. 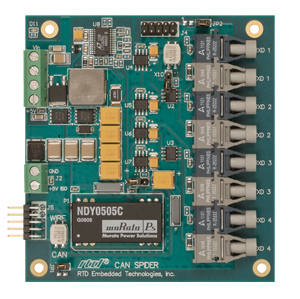 The CAN Spider can be mounted in a double high RTD IDAN enclosure together with either an ECAN527HR-2, ECAN527DHR or ECAN1000HR module. The CAN Spider supports all the features of the full CAN specification 2.0 B. Data rates up to 1 Mb/s are supported with fiber-optic cable connection lengths up to 45 meters. 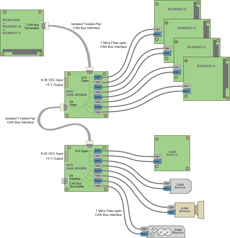 This robust board has an industrial voltage range input power supply. The input voltage range is 8 to 36V DC. Overvoltage and reverse voltage protection ensure reliable operation in the most demanding applications.